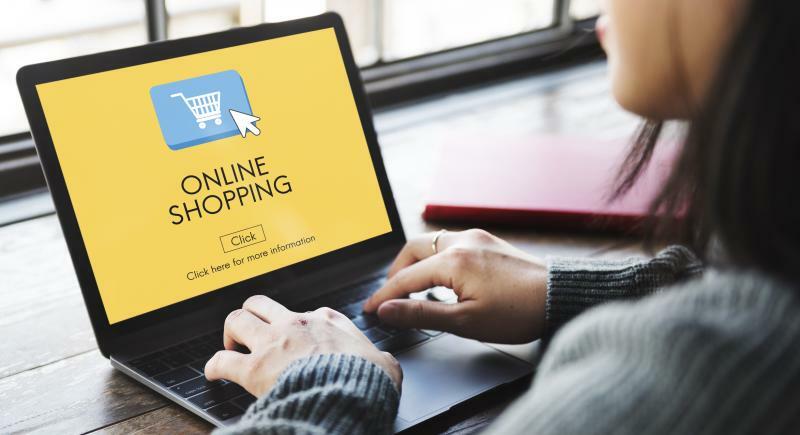 If you're looking for a way to maximize security when shopping online, consider getting a credit card account that incorporates a virtual credit card option. This type of account provides you with temporary account numbers to use when using your credit card account to make purchases that don't involve actually processing plastic. According to Experian, a virtual credit card "is a randomly generated, temporary credit card number that you can use while shopping online." It can also be used for telephone and mail order transactions. Virtual numbers are (of course) linked to your credit card account, so you must pay for any items or services you purchase. If your credit card account offers a rewards program, you will still accrue points for purchases made using these disposable numbers. The benefit of virtual credit cards is security. They keep you from having to give out your real credit card account number when making non point-of-sale purchases. Since you never enter your actual card number when buying from a website, cyber criminals can't snag it. If they do capture the virtual number, your true account number won't be compromised. When you use a virtual account number, you - and your credit card company - are are protected against fraudulent charges resulting from a criminal finding a way to capture your credit card number. Plus, you won't have to go through the hassle of having to cancel and re-issue your credit card, which you would have to do if a criminal got your real card number. Who Offers Virtual Credit Cards? Virtual credit cards are not stand-alone accounts. Instead, they are a service offered by several major banks to provide accountholders a value-added service that boosts the security of shopping online. There are no additional fees for using this option, though - of course - all fees associated with the account to which a virtual account number is linked apply. Bank of America (BOA) offers virtual credit card numbers through its ShopSafe program. This program is included with all BOA MasterCard and Visa accounts, but not their American Express accounts. There is no need to enroll; access is automatic. When you generate a virtual number, you can set a maximum purchase limit and establish an expiration date up to one year in the future. If you have a BOA MasterCard or Visa, simply log in to your online account and go to the "Account Activity" section. From there, select "Use ShopSafe" and the system will generate a random code for you to use. If you don't have a BOA account but find this benefit appealing, you may want explore the various BOA credit card options. Some (but not all) Citi credit card accounts include access to virtual account numbers. If you have a Citi card that is eligible for this option, you will need to enroll in the virtual account number program to participate. Once you sign up, it's simple to set up virtual account numbers to use. Other than the fact that enrollment is required and that the feature isn't available with all accounts, the program is similar to BOA's. If you aren't sure if your account includes this option or if you'd like to apply for a Citi account that includes it, review the various account types on the Citi website and check the benefits sections to see which ones include this feature. Alternately, you can call 800-347-4934 any time of the day or night to inquire about availability. If you're interested in getting a Citi card so you can use this option, investigate the various Citi account options. Capital One offers a slightly different take on virtual credit card numbers through their Eno℠ service. They describe Eno as an "intelligent assistant" for Capital One accountholders. You won't get a different number for each transaction, but Eno allows you to generates a unique virtual credit card number for each merchant you shop with online. So, if a particular merchant's e-commerce system experiences data theft, your actual credit card number won't be affected. Eno is available with all Capital One personal accounts, but it is not available for business accounts. It is free, but requires installing a browser extension. It can be used only with Firefox or Chrome. According to TechCrunch, Eno makes "the creation of virtual card numbers easier to access, and quicker to use." This is to the fact that it works via browser extension rather than requiring users to log in to their account and generate a temporary number. Credit card fraud and identity theft are serious safety concerns. Virtual credit cards are a unique way to be particularly vigilant when it comes to keeping your credit card information secure when shopping online or engaging in other transactions that require you to share details about your credit card account in order to process a payment.